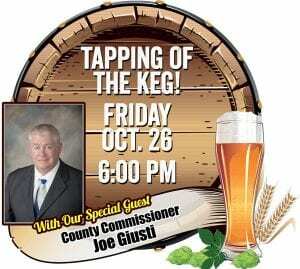 Island Oktoberfest, hosted by First Evangelical Lutheran Church and co-sponsored by Del Papa Distributing Company, is a FREE EVENT and will open Friday evening with themed-Bier Garten venues featuring a variety of both German and domestic brews as well as a variety of German-style wines. 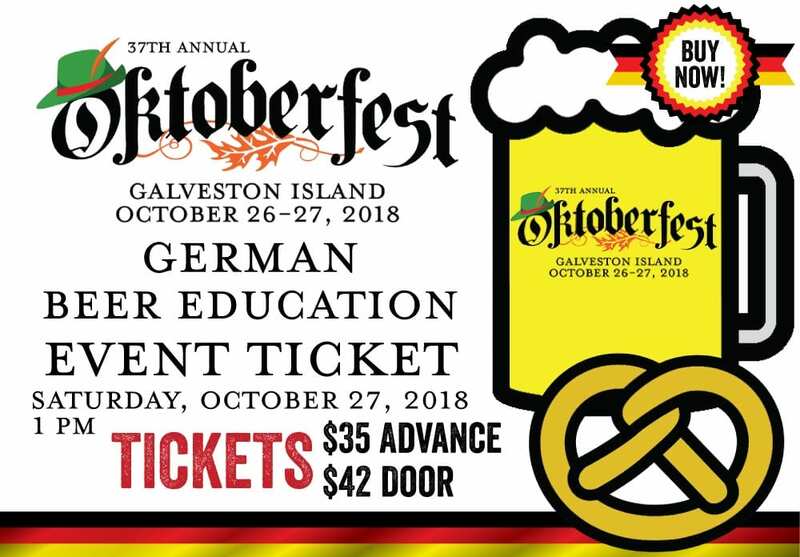 On Friday at 6:00 p.m. Galveston Oktoberfest officially opens with brief introductions by the committee organizers and then FREE beer is passed out following the tapping of the keg containing imported German Bier! For those who prefer wine, there will also be a Popping of the Cork! Music is supplied by Die Tubameisters! This event is held in the Courtyard between The Lyceum and First Lutheran Church. Brian Starr, Innovation Manager of Karbach Brewing Company (headquartered in Houston, TX), will be leading a Beer Education event at Oktoberfest. This hour-long session will begin at 1:00 pm, Saturday, October 27, on the festival grounds, and will include tastings of 4-6 Karbach beers, paired with a Bavarian pretzel (called Brezeln or Brezen in Germany). Participants can learn the story behind the beer, as well as ask questions. Class size is limited to 35 people. Tickets are $35 each in advance, or $42 at the event (if tickets are available). CLICK HERE TO PURCHASE YOUR BEER TASTING EVENT TICKET! 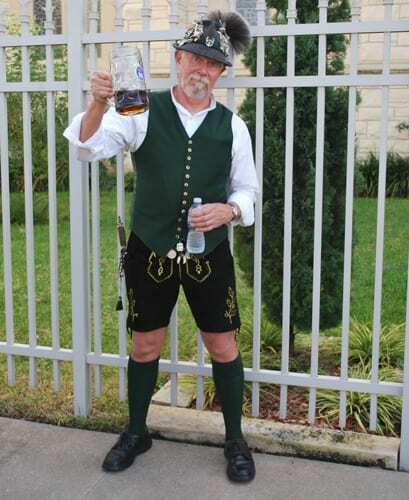 The Galveston Oktoberfest Wine Tasting event is set for 3pm on Saturday, October 27th on the festival grounds! The hour-long educational event will feature 3-5 wines paired with seasonal fruit and specialty cheeses and their will be champagne and sparkling wine to be paired with a pastry and/or chocolate, etc. 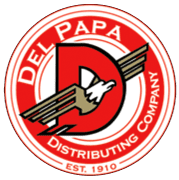 It will be led by Richard Quintanilla, CSW, CSS from Favorite Brands, LLC, which is a distributor of high-quality (among many other things) small, upscale, boutique wines from around the globe. Click here to see their portfolio! The hour-long educational event will feature tastings of 5 wines paired with seasonal fruit and specialty cheeses. We will start with a sparkling wine, move to chardonnay, then pino noir, merlot, and end with a cabernet. In addition to great music and dancing, there will be superb food and drink including smoked sausage, bratwurst, knockwurst, and “Wurstabendessen“- a sausage dinner comprised of German-style and Polish style Wurst with all the traditional German side dishes. For a sweet finale, homemade Helga’s strudel (freshly baked on site), will be offered in addition to a variety of tempting home-made desserts – specially prepared by congregation members from recipes handed down from generation to generation. Hand-made pretzels, freshly-popped popcorn, and a variety of soft drinks will also be sold at the festival. The historic and beautifully-renovated circa 1860 Lyceum will again be open from 5-9pm Friday evening and from 11am-7pm on Saturday with vendors showcasing exceptional hand-crafted arts, crafts, and gift items for those festival goers eager to get a head start on holiday shopping. Because Oktoberfest continues to be one of the vendors’ most enjoyable and popular venues, regular attendees can look forward to shopping at their long-time favorite booths- each featuring Christmas and other special gift items. As well, shoppers always look forward to knowing that their favorite vendors have returned to showcase their best products. The ever popular Cake Wheel is a fun (and addictive!) game of chance to pick a lucky number and choose the cake of your choice to take home and enjoy! All cakes are handmade by the congregation of First Lutheran Church! On Saturday, the silent auction will be from 11am until 5pm. 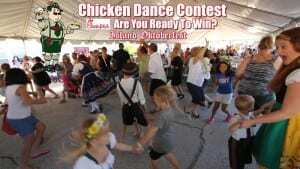 On Saturday 3:30-4 pm on the Family Stage will feature our annual Chicken Dance contest! Each couple/pair is encouraged to be creative and add their own original dance moves. Each couple/pair must be on the dance floor ready to compete before the music starts. Volunteers from the crowd and event staff will select semi-finalists from each of the two categories. The audience will judge the semifinalists. The winner from each category will be determined by the length/volume of applause from the audience. Children’s Activities – NEW!! EXPANDED KIDS’ ZONE!!! On Saturday beginning at 11:00 a.m. until 7:00pm there is a variety of fun games and activities are available in the special Children’s Activities Area! Families and children of all ages can look forward to an EXPANDED Kids’ Zone at this year’s Oktoberfest! Planned activities include a ROCK WALL, 4-way BUNGEE TRAMPOLINE, MECHANICAL BULL, DUAL LANE GIANT SLIDE, a large OBSTACLE COURSE, MOON WALK, PETTING ZOO and PONY RIDES!! And for little ones, a JUNGLE PLAYLAND. These planned activities are in addition to the returning activities including “motorized” animals, face painting, and other fun arts and crafts! Don’t Forget To Dress The Part! Attendees are encouraged to dress in German costume. Our roving photographers love to shoot German costumes in the crowd! On Saturday, October 27, 2018 there will be a FREE German Costume Contest on the Main Music Stage from 5:30pm – 6:00pm. You won’t want to miss the sweets booths for a treat to enjoy at the festival or maybe to take home with you. Tempting arrays of homemade cakes, pies, cookies, candies, divinity, fudge, popcorn balls, caramel apples, cupcakes, homemade jellies, and jams, and much, much more! We have a full lineup of music and dancing on 3 stages both days! Check out our entertainment schedule! We have something for everyone! Please see our official Bier Menu! How long can you hold your Stein? The contest is Saturday from 5-5:30 pm on the Main Music Stage! 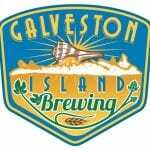 Sponsored by Galveston Island Brewing and Galveston Monthly, the Winner receives 2 $50 gift cards. Masskrugstemmen is a Bavarian combo feat of STRENGTH and ENDURANCE where contestants hold a 1-liter stein of beer (about 5 lbs) out in front of them at shoulder level for as long as they can. NO beer spilling! NO elbow bending! Extended arms MUST be kept parallel to the ground! The ultimate winner keeps their stein aloft the longest. So gather round, strong ones, on SATURDAY at 5pm on the MAIN MUSIC STAGE and let’s settle this ultimate contest at ISLAND OKTOBERFEST! 🍺 TRIVIA FACT #1: The German word “masskrug” translates into a one-liter stein of beer, and “stemmen” means “lift.”, so therefore, Masskrugstemmen. 🍺 TRIVIA FACT #2: The “average” person can hold it for about 4 minutes. 🍺 TRIVIA FACT #3: The world record is 20 MINUTES, 13 SECONDS set in GERMANY. …And Just Walkabout Free Fun! Island Oktoberfest admission is free. Attendees are encouraged to dress in German costume. No animals will be allowed on the festival grounds. 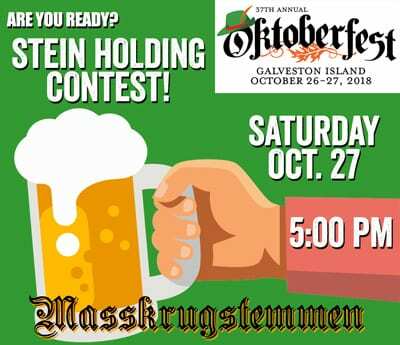 For more information, call 409.762.8477, or follow the event on Facebook at Island Oktoberfest. All proceeds benefit programs and outreach for First Lutheran Church in Galveston. As always, thank you for drinking responsibly.